My mum has been visiting the last few weeks, and has done a wonderful job looking after my son and us, during track out (school vacation). 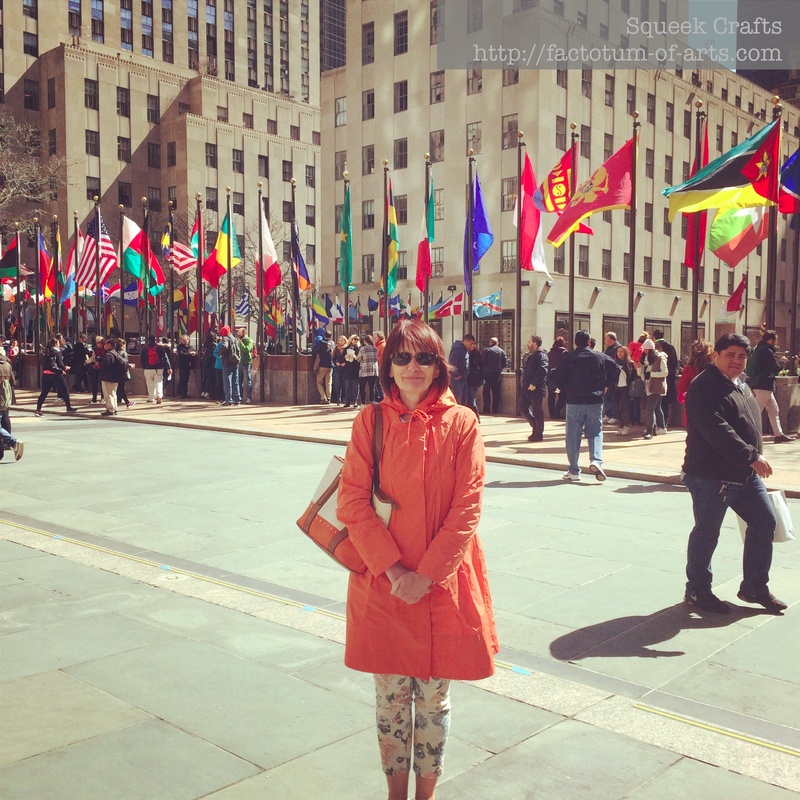 This past week we had a blast in New York….that’s my Mum!!! My Mum is a fabulous seamstress, who has made our kids clothes, my ball gowns and 1930’s outfits for the Hawkes Bay Art Deco weekends in New Zealand. This is the first time, my mum and I have talked about fabric and sewing. 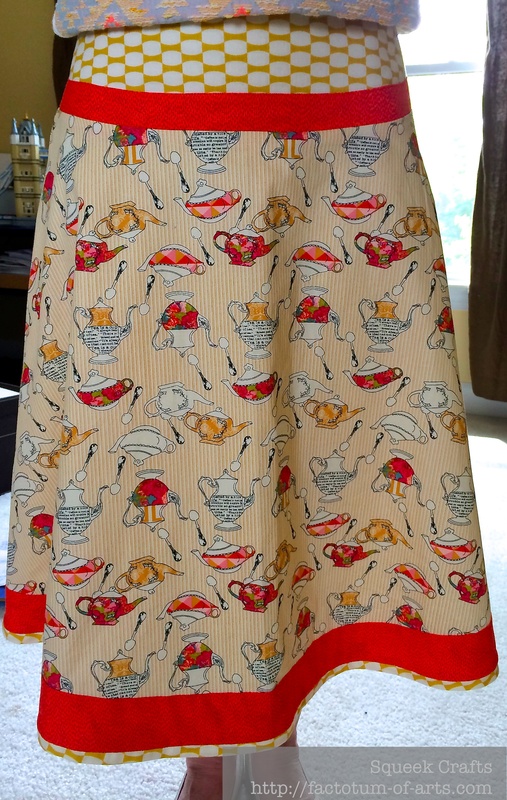 She had mentioned that a woman in her book club had this great teapot skirt. 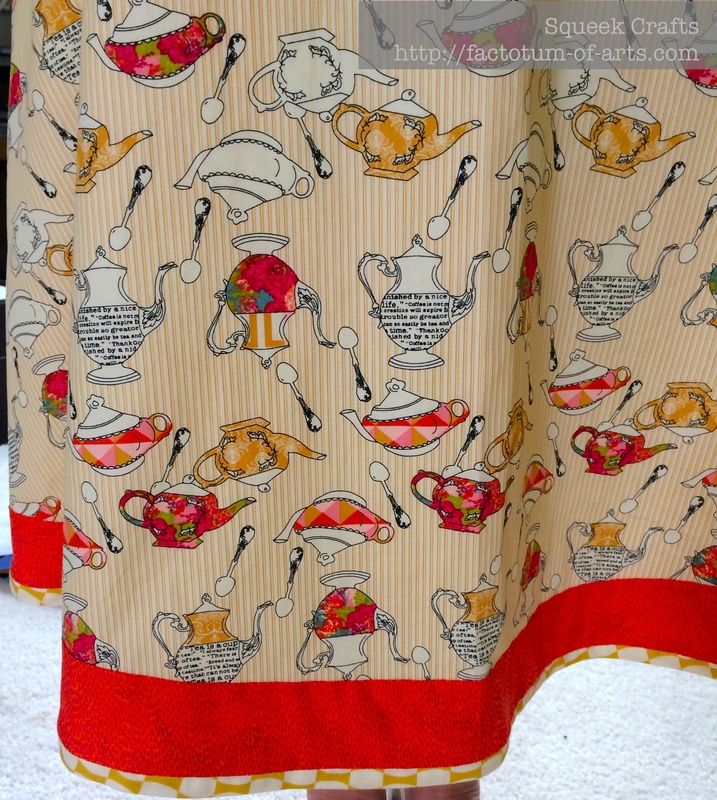 We raided my fabrics and next thing you know she has a finish…. That’s my Mum first Friday finish, is it not a pretty finish. I am linking up with Amanda Jean over @ Crazy Mom Quilts for Finish it up Friday. 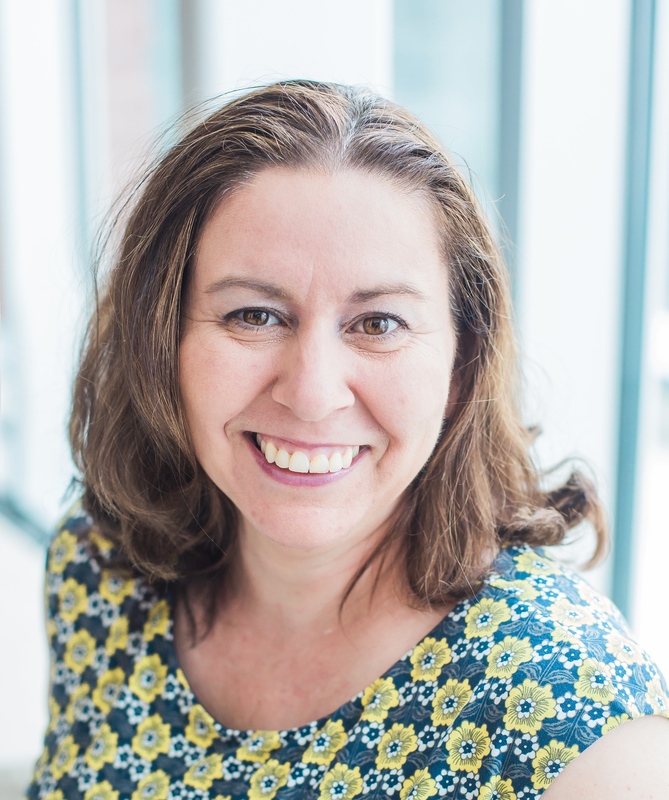 This entry was posted in Uncategorized and tagged Finish it up Friday, Mum, sewing, skirt on April 19, 2014 by mlwilkie. say what. Now I’m wishing your mom had time to teach us a class! She is super talented – that skirt is adorable. You have a wonderful mom! Looks awesome! Super job ladies! Are you a Kiwi? How nice to have your mum visiting! Aw, I wish my Mom had sewing in common with me. Her skirt is amazing and I can’t believe she just whipped it out! What a great skirt! I love it! Yay for your mum’s first friday finish! That’s pretty awesome. I wish I could have met her while she was here, but clearly you guys were busy!